A series of nice and inventive landscape design examples are select for users' inspiration, through which you can quickly get started in designing the landscape you've always dreamed about. 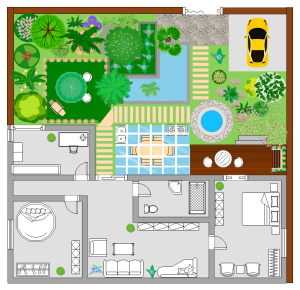 For people who are working with landscape design and don't know where to start, here you've come to the right place. 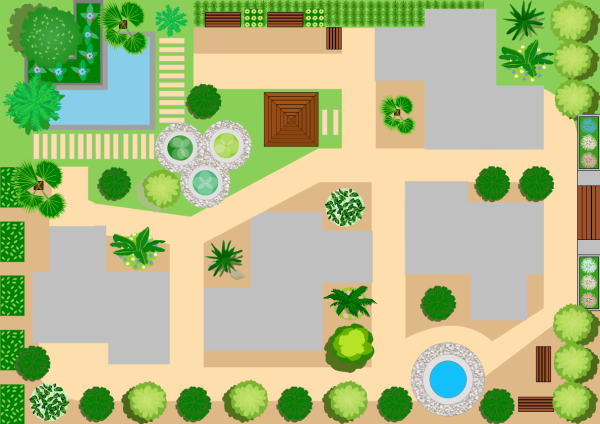 Several meticulously chosen landscape design examples are freely provided - you can simply take a look for more ideas, or download them as templates, since all the examples are in vector format, allowing users to edit and redesign. 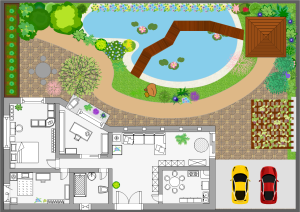 Edraw lets you create great landscape designs using dozens of built-in landscape symbols, including pavilion, umbrella, lawn, rock, garden, stone road, stone, flower and stone, wood fence, wood gate, wood post, masonry fence and more. 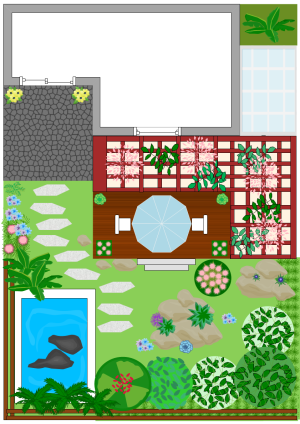 Flesh out your creativity and make a beautiful landscape design for your warm home. The following examples and templates are allowed to download and customize for your own use. Click any sample picture you like to enter the download page. Both PDF and editable formats are available. 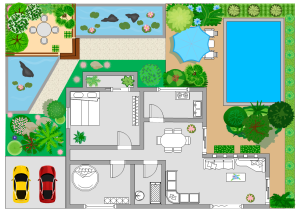 Discover why Edraw is an excellent program to create landscape design. Try Edraw FREE.